Warriors seek revenge against San Antonio in Oakland Wednesday on ESPN. Written by NBA Point Spread Analyst Greg Nelson. Charliessports.com produces it for Basketball Betting. NBA Daily Betting Picks are the best in the industry and will continue through the March Madness Finals in April of 2019. We’re always providing BETTOR Friendly cards. Our signature 500* premium ATS Predictions are unreal & I promise you won’t regret purchasing, cash in Daily. The (32-23) SU, (31-23-1) ATS San Antonio Spurs are looking to bounce back after a 127-112 loss to Sacramento as 2 point road FAVORITES ATS. 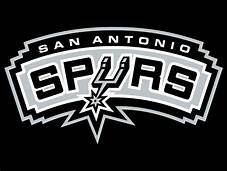 San Antonio is tied for first place in the Southwest division with Houston and is the sixth seed out West. The Spurs are in the midst of their annual rodeo tour, playing eight-game away from home. They’ll be in Memphis before 2019 All-Star break and then it’s three on the road against Atlantic division foes before returning to the Alamo. San Antonio is 1-4 AGAINST THE POINT SPREAD their last four on the road. The UNDER is 5-2-1 the last eight between the teams. San Antonio is 0-4 ATS in their last four after giving up 100 points or more in their previous game. UNDER bettors have made a profit in 6 of the Spurs last seven overall. The (37-15) SU, (23-21) ATS Golden State Warriors have won nine of ten with the lone defeat coming at the hands of Philadelphia on January 31st as 8 point home FAVORITES ATS. Golden State owns the best record out West and has an 8′ game lead over second-place Los Angeles Clippers in the Pacific division. Golden State will look to finish strong before the 2019 NBA All-Star break. Golden State is 5-1 ATS their last six when playing on three day’s rest. The OVER is 6-2-1 the last nine between the teams in Oakland. The Warriors are 13-5 AGAINST THE SPREAD their last eighteen as double-digit FAVORITES. UNDER bettors have cashed in golden State last two at home. 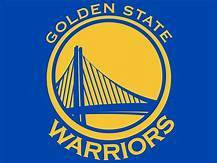 Wednesday’s game is 10:30 PM EST at Oracle Arena in Oakland, California. The ESPN network will be broadcasting. The Betting Line has San Antonio as 14′ point road UNDERDOGS ATS. The TOTAL is 230′ points for Wednesday’s contest. Every season San Antonio Spurs head coach Gregg Popovich gets criticized for resting players around the All-Star break. The 2018-19 season is no exception with stars DeMar DeRozan (21.3) ppg and LaMarcus Aldridge (21.2) ppg getting a rest day tonight in front of a nationally televised audience. The oddsmakers in Las Vegas took notice, and the POINT SPREAD went from 11 to 14′ or 15 at some sportsbooks. Popovich isn’t concerned what commissioner Adam Silver or paying fans to think; all he wants is for his player to perform at a high level to keep the Spurs in contention for a Championship run. It’s also a chance for the future Hall of Famer to find out how much progress reserves have made as the organization always seems to find a diamond in the rough. The team of NBA Handicappers at Charliessports.com understands how the line movement in tonight’s game can affect ATS bettors. However, we also know the San Antonio Spurs bench players are eager to prove they’re worthy of making an impact. San Antonio is 9-1-1 AGAINST THE POINT SPREAD after losing a game straight up. Take the 14′ points tonight. Bovada.Lv list the San Antonio Spurs win total at 44′ games for 2018-19. The only thing that matters in the East Bay is hanging another banner at Oracle Arena in the final season before they relocate to San Francisco where they’ll be tipping it off at the Chase Center. Golden State looks to continue their run as we approach the All-Star break where Kevin Durant (27.5) ppg along with Stephen Curry (29.2) ppg will be featured. As good the Golden State core player have been performing the rest of the NBA must also prepare for DeMarcus Cousins (14.4) points per contest who missed forty-five games but is now healthy. Kerr has instructed the training staff to limit Cousins playing time, so far he’s on the floor for a little over twenty-two minutes per game. This Sports Handicapper knows the Warriors coaching staff wants to avoid a letdown against a short-handed San Antonio basketball team tonight. Bovada.Lv list the Golden State Warriors win total at 63′ games for 2018-19. Free Pick. San Antonio+15 Points. Also Play Online Poker Plus Other Casino Games and enter some of the best Tournaments on the World Wide Web.